The Rate of Suicides is reached at a high record in American Soldiers that are serving in Afghanistan and Iraq. In the last month of June the average of Suicides in American soldiers was one Suicide per day. 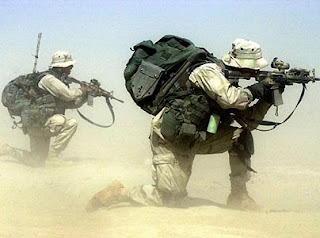 US Army statistics says that 32 American soldiers done Suicide in last month of June in Afghanistan and Iraq. In 2009 more than 244 American soldiers done Suicides. According to Psychologists Soldiers are doing Suicides due to War Fear and Tension that they are facing. One reasons of Suicides is renewed deployments and prolonged tours of duty as well More than 140,000 US Soldiers are Present in Afghanistan while thousands of more soldiers are coming in next few weeks to Afghanistan.